Any long-term watcher of Southeast Asia knows that they have to be prepared to master a number of acronyms and opaque institutions. The Association of Southeast Asian Nations (ASEAN) is of course the most well-known institution. Most keen observers could further identify the EAS, the ARF and ASEAN+3. I suspect things get harder when we start to talk about the ADMM and ADMM+, ACTFA or ANZFTA. Perhaps the most opaque of all would be the three institutions under discussion here: BIMP-EAGA, IMT-GT and ACMECS. I will put you out of your misery, if you were indeed stumped. Founded in 1994, BIMP-EAGA is the East ASEAN Growth Area – comprising Brunei, Indonesia, Malaysia, the Philippines and Timor-Leste. IMT-GT is the Indonesia-Malaysia-Thailand Growth Triangle dating to 1993. Finally, ACMECS refers to the Ayeyawady-Chao Phraya-Mekong Economic Cooperation Strategy which was launched in 2003 and draws in all ASEAN mainland states. Whilst they vary in the particular, all of these sub-regional groups aim to promote development across borders. They share an interest in enhancing infrastructure and enabling private companies to operate seamlessly across the sub-region, as well as increasing human resource development to promote long-term and sustainable development. They do not necessarily encompass all of the territory of the countries involved. For example, while IMT-GT is heavily focused on those sub-national provinces near the Strait of Malacca, BIMP-EAGA focuses on the southern Philippines, eastern Malaysia, parts of Indonesia and all of Brunei. These sub-regional groupings are important to Southeast Asia for three reasons. First, there is strong compatibility between ASEAN’s commitments and the activities of these sub-regional groupings. ASEAN 2025, the overarching blueprint for the next stage of ASEAN development, emphasises the importance of development, growth and integration, especially in the poorer areas of ASEAN. Success for these development-focused groups may mean success for ASEAN’s wider economic goals. Second, as with almost everything to do with ASEAN, the focus on economics belies a deeper concern with politics. Under-development, poverty, low education and poor integration are all potential causes of political unrest, social dissatisfaction and weaker central governments. In light of this, these sub-regional groupings play a clear role in the political aims of ASEAN, ensuring national and regional resilience through greater enjoyment of wealth, education and the benefits of trade. Third, these economic activities have geostrategic consequences. ACMECS – and the integration between ASEAN members it promises – is in competition with rival forms of cooperation led by China. China’s Belt and Road Initiative (BRI) has opened the door to funding for infrastructure development across mainland Southeast Asia, although countries have varied in their responses to this, with Cambodia and Laos being most enthusiastic and Vietnam most wary. Whilst a Beijing-centred form of economic development promises access to considerable resources for recipient countries, it also comes with expectations about Chinese-led political and security orders that at the least undercut ASEAN’s own interests in centrality and at worst stand directly opposed to them. For these three reasons ASEAN needs to take these sub-groupings seriously: they realise ASEAN goals and support the regional project. However, the nature of the relationship between sub-regional and regional grouping is unclear. Vision 2025 simply notes that ASEAN continues to ‘work closely’ with these groupings with no specificity about what this relationship means. Perhaps most pressingly, given its strategic importance, ASEAN’s engagement with mainland Southeast Asia in terms of development comes not from working with ACMECS, but rather from the Initiative for ASEAN Integration (IAI) which focuses on Cambodia, Laos, Myanmar and Vietnam. The IAI Work Plan III (2016–2020) makes no mention of ACMECS, although its headline goals in food and agriculture, trade facilitation, micro, small and medium-enterprise development, education, and health and wellbeing directly align with the ACMECS 2019–2023 Blueprint which calls for a seamless, synchronised, smart and sustainable ACMECS sub-region. 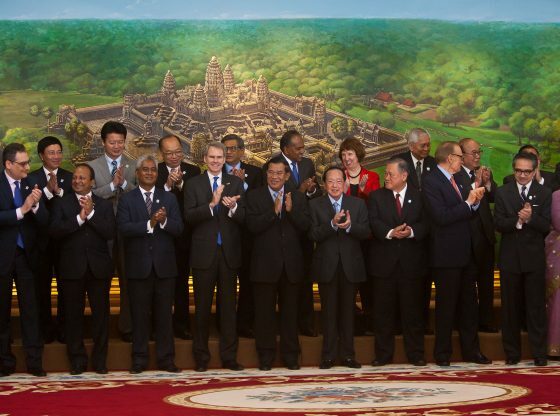 ASEAN’s Secretary-General attended the launch of the 2019–2023 Blueprint, but this has not yet developed into a fuller or more sustainable relationship. The challenges of ensuring coherence between ASEAN and these sub-groups are important, but in turn they reveal deeper questions about the nature and future of regionalisms in Southeast Asia and the role of ASEAN within that. To date, ASEAN has sought to play twin roles. First, it sought to be the setter of standards for the region, outlining commitments and the way ahead. Second, it has always intended to be the body that implemented those commitments – even if ASEAN’s track record at implementation has been weak. Yet here we see sub-regional bodies overlapping with ASEAN’s own commitments and engaging in their own implementation activities. Is overlapping authority and activity the best way to approach questions of development or should there be a clearer separation of duties? More fundamentally, what role can and should ASEAN play in this more complex environment? Are the aims of ASEAN best achieved through ASEAN itself launching initiatives such as the IAI, or would it be best if ASEAN ‘stepped back’ from implementation and was satisfied with playing the role of conductor, allowing other groupings to take the lead in realising these commitments? Answering these questions may suggest a shifting role for ASEAN within Southeast Asia – less the sole articulation of regionalism and more the peak body amongst many. Undoubtedly this is a change from the ASEAN we have known to date, but in an area so important to national and regional goals, this sort of innovative thinking may provide greater chances of success. There is clearly a demand for sub-regional groups, and it is time ASEAN answered what this demand means for the regional project more broadly. Dr Mathew Davies is a Senior Lecturer at ANU College of Asia and the Pacific. His current research examines the intersection of regional order building, human rights and governance in Southeast Asia, paying particular regard to the Association of Southeast Asian Nations. He is the author of Ritual and Region: The Invention of ASEAN (Cambridge University Press 2018). Image Credit: CC by EEAS/Flickr. * The author bears full responsibility for the facts cited and opinions expressed in this article.